מאת יובל ~ 30 במאי, 2010. בקטגוריית: English, ארגנטינה, יין, יקבים, מדריכים. I woke up early and caught my usual bus to Maipú. After the usual chit chat with Hugo and his family, he brought out the crown jewel of his bike collection; at least I thought so. It was a nice blue almost mint (untouched) condition bike. I know that I would not have to check this bike out for any kinks. It also had such a comfortable seat that I could bike around all day long, not that I wasn't doing that anyway. I got on the bike and rode into the center of Maipú. 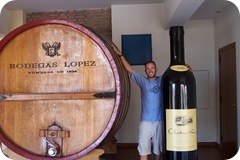 I arrived at Bodega Lopez around 9:30 in the morning. I waited around until a tour ended and then joined the group for the tastings down in the wine cellar. 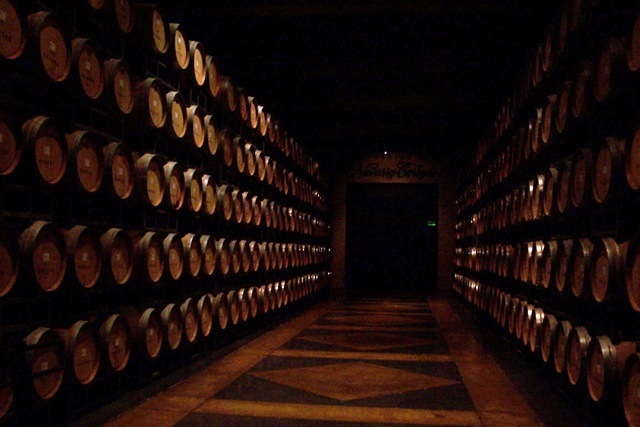 The wine cellar was a chilly circular room with different pictures and small cages with wines inside. 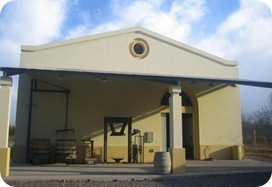 I tasted a simple Chardonnay and a dry Cabernet Sauvignon. Both were not really good. The tastings were free so I bought another wine bottle opener (my 5th). I started peddling towards my next bodega. 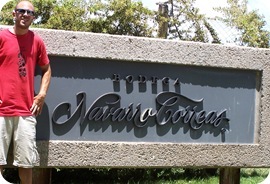 I arrived at Bodega Navarro Correas around 11:15. The guard pretty much let me in without a problem and I rode up to the big architectural building. Juakin invited me in and for the short tour. 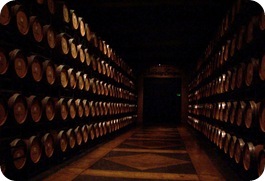 He only took me to see their impressive wine cellar, really impressive wine cellar. Afterwards we sat in a beautifully designed space with comfortable big brown sofas and local art on the walls. Juakin sat across from me and poured the first wine, the Collection Privada Chardonnay 2006, while both of us were telling wine stories. 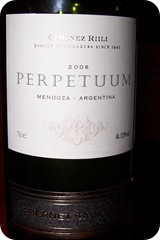 The wine had a bright gold color with aromas and flavors of melon and grape. The second wine was a Collection Privada Syrah 2005. 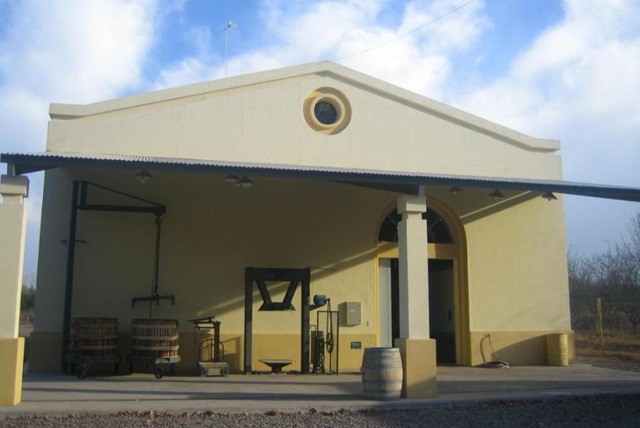 The Syrah was average, with oak and tobacco aromas, and leather plum flavors. Before I left I bought another bottle opener (my 6th) and thanked Juakin for the visit. 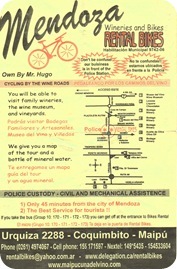 I peddled back to the center of Maipú and pulled out my map. Juakin told me about Bodega San Telmo, so I decided to try it out. 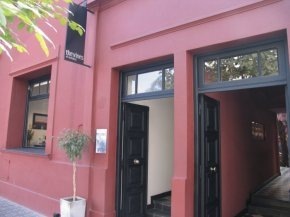 Even though I told myself that I wouldn't, I went into Bodega Antonio Nerviani again. Once again they were not interested in my money. I rode my bike to the end of Ozamis Road, hooked a left on Aranda and then a right on Carril Barrancas Road. 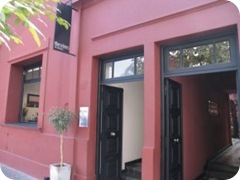 I recognized Bodega San Telmo from a small picture on one of my maps. I stopped at the guard's hut but was disappointed when he told me that they do not have tours or tastings. I backtracked to Aranda Road and decided to go into Bodega CarinaE again. It was at least two hours since I tasted some wine. Beside their low class Malbec tastings I paid just a bit more for a couple better wines. I tasted a Cabernet Sauvignon Reserve 2005 that was not so good, and a fabulous Syrah Reserve 2006. 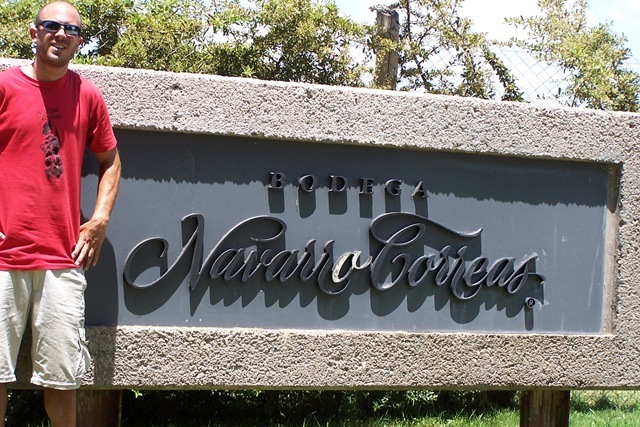 Together with its deep ruby color and cherry-berry-vanilla aromas, it had a medium body and smooth balanced fruity finish. Definitely one of the best wines I have tasted so far. 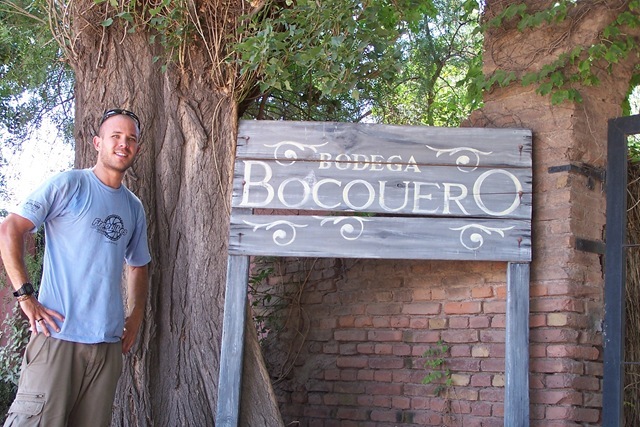 I tried visiting Bodega Boquero, but once again nobody was present in their yard. 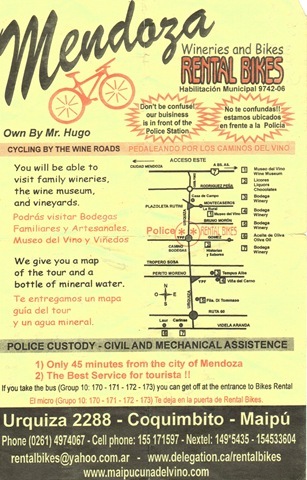 I quickly rode back to Hugo's bike shop and returned to Mendoza because I had a reservation at The Vines of Mendoza, an exclusive wine bar. I arrived at The Vines of Mendoza a few minutes before 19 o'clock together with Melanie, a Swedish girl from my hostel. Yael (Y is pronounced J), whom I made the reservation with, seated us and went to attend to some other guests. Yael is a real nice person who understands a lot about wine and of course she was really interested in all my wine stories in Mendoza. We sat down and waited for the evening to begin. 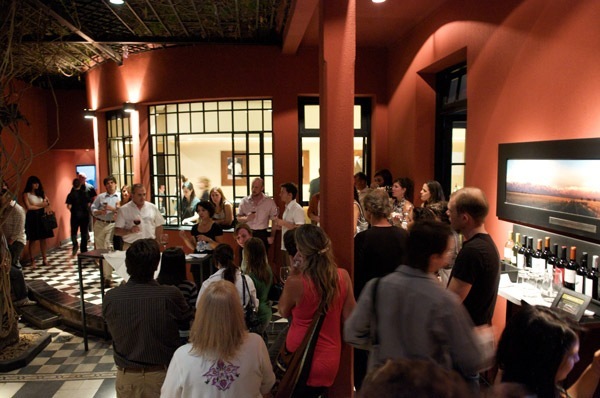 The waitresses passed out a brochure of the evening's guest winemaker, Bodega Gimenez Riili of Luján De Cuyo. 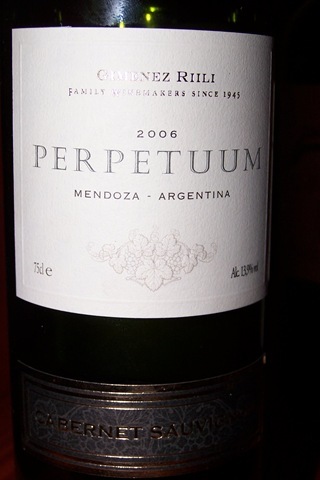 While receiving the evening's first wine, a Perpetuum Sauvignon Blanc 2007, all 3 Riili brothers and their father took the stage. The translator started to explain the bodega's history. With fresh bread and cheeses, the Sauvignon Blanc tasted like the heaven's beverage made for Gods. It just went so good together. The waitresses refilled everyones glasses over and over again until it was finally time to move on to the reds. Their Malbec 2006 was fairly simple and the Gran Reserva 2005 (a blend) was fabulous. So many aromas and flavors were so distinguishable ended with a smooth oaky finish. 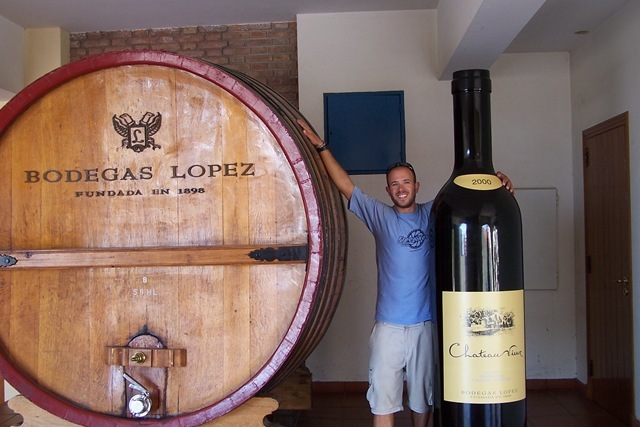 An unexpected surprise waited for us when they said that they brought over a few bottles of their Gran Reserva 2006 (this year just from Malbec) that was just bottled last week. The wine had a tough hard taste and feel but, also some promise after bottle aging for a few years. Glasses were refilled with as much wine as we pretty much wanted, what a great night. 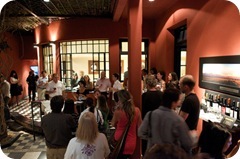 At the end of the evening the Gimenez brothers walked around and the guests were able to ask questions and just talk about wine. I had an amazing evening with a lot of good wine, good people, and a good buzz.